The future is strong for mcommerce, but a plan to reach out to the mobile users through apps only needs a rethink. In the bigger picture we need a sustainable cross-app, cross-platform model that gives consumers a one stop access to information, products and services that they need in that single moment of intent. Congratulations! You just got your app live on the app store! What’s next? If you are not ranking high enough on app ranking metrics, chances are you will not be featured in the list when users search for related categories to which your app is associated. Not much user engagement, the possibilities are you’ll be voted down as compared to those apps in your category that have more. “How do I get engagement when my app cannot even be discovered?” Good point. 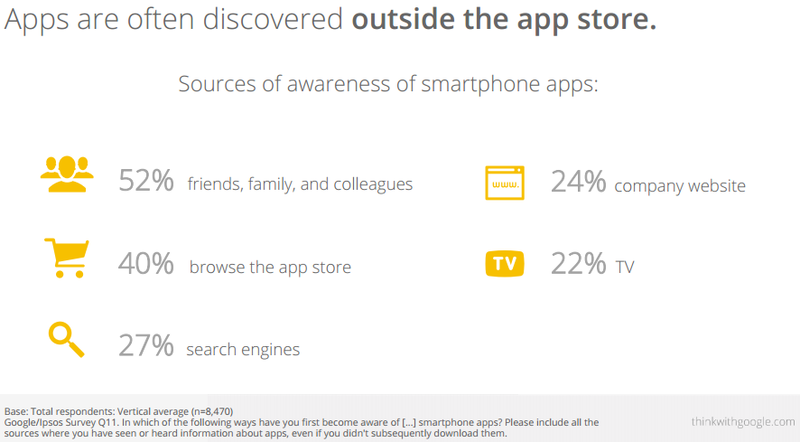 1 in 4 users are finding apps through search engines or search on play stores. But is that the best way to find what is out there? Maybe not. With more than 1 billion apps lining up on Android and iOS platforms, users don’t recall or have easy access to new apps and services that are available on the mobile or the web. In an overcrowded app market, cutting through the noise, and winning user attention has never been more difficult. Obviously there is a huge need for a better way for users to discover new apps and engage with existing ones. According to a report by Google, the average app user has 36 apps installed on his or her smartphone. That’s a pretty small number compared to the number of apps released every day, but how are even these being discovered? As we know from a Google report, most of these apps are discovered outside the app store. 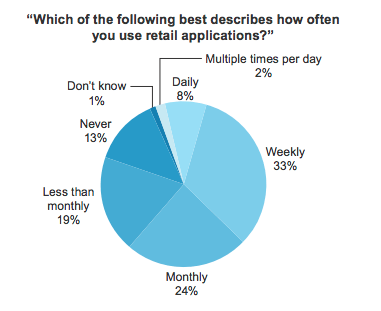 Businesses and brands are spending millions on app installs and user engagement. Developers are struggling to stand out in the competition. Every day there are scores of new apps fighting for attention on the play stores. App discoverability is a major pain point for developers who are struggling to rise above the noise and let users discover and engage with their apps. The problem is evident: it’s not easy to be found and it’s going to get more difficult from hereon. The need can be addressed not by better advertising or promotions, but through reaching out to the users in context and in their ‘mobile moment’, that single point of discoverability where the user’s intent is matched to the information that’s most relevant to him/her. Stand out and be found or be left out. Here’s how Xploree Search and Discovery platform can help. Discovery in many ways, rules over search since it lets the users find what they have not even searched for. In the mobile world, it’s very apt to say that Discovery is faster than search. Discovery is one of the most relevant aspects in connecting information and services to users and with Xploree Search and Discovery Platform, users now have access to a non-intrusive, hyper-contextual mobile application that’s recommending the right services, content, app info and brand connect in the most relevant context. Xploree is best positioned to enable app discovery, and app engagement and clearly addresses the problems mentioned above. With the ability to present deep links publishers can get better app installs and app engagement rates as compared to discovery through search engines. What’s important and relevant is when you are able to reach out to the users in that single moment of intent when the user wants to book for a ticket, find a cab or is in a casual conversation with a friend and discovers the service or an app that helps him/her complete the immediate action or intent. 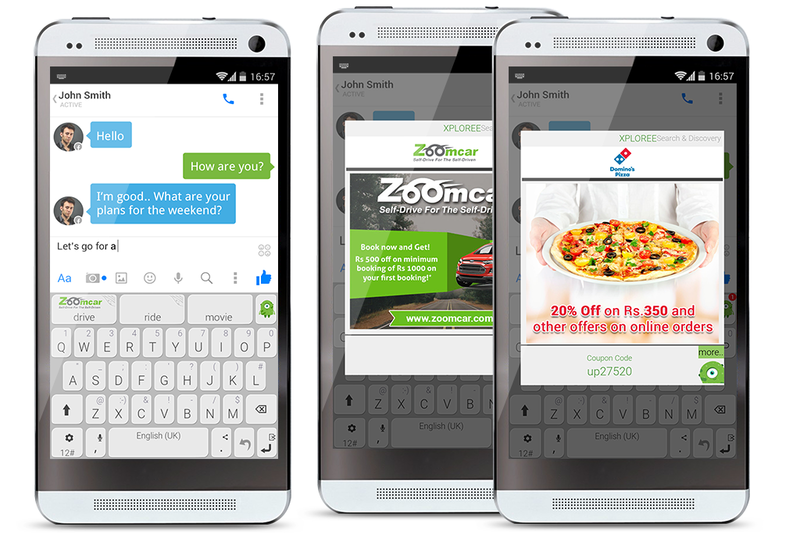 Xploree recommends instant information, enables apps and services discovery during user conversations on any messaging app. 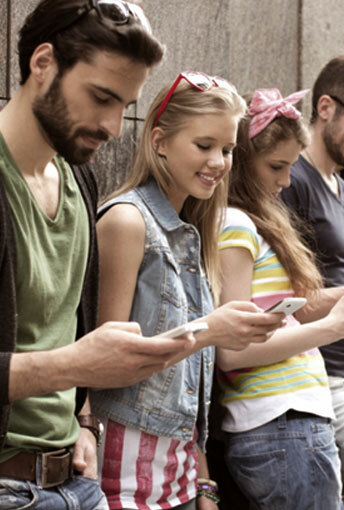 Mobile is all about these moments when a need is fulfilled in that single moment of intent. Xploree is creating powerful mobile moment opportunities with user intent and context driven approach to mobile search and discovery. Begin on your path to discovery with Xploree – Discover Now! 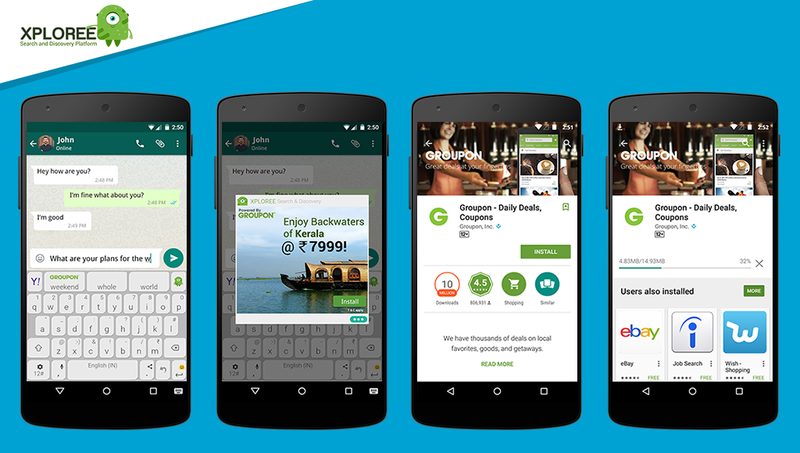 Xploree is available in India on Google Play. Get it here. Contact us to know more how we can drive high reengagement for your app. Messaging apps daily use is almost 5 times higher than the average for all apps that a user accesses on a smartphone, according to a report by Flurry. People send 30 billion messages on WhatsApp alone, which is incredibly active with more than 500 million monthly active users! Messaging apps are engagement portals to communicate, connect, inform or endorse. Moving beyond the medium of connection between friends to friends, individuals to groups or fans, users to information; these apps are turning to be valuable platforms for users to search, discover and interact with brands, businesses and much more. Snapchat is moving fast on becoming a media platform, last year we saw new features like Snapchat Discover that delivers news stories and videos, building on a revenue model and at the same time richer content focus that is appealing to mobile consumers. In near future, Facebook’s Messenger app would be capable of sending content beyond text. 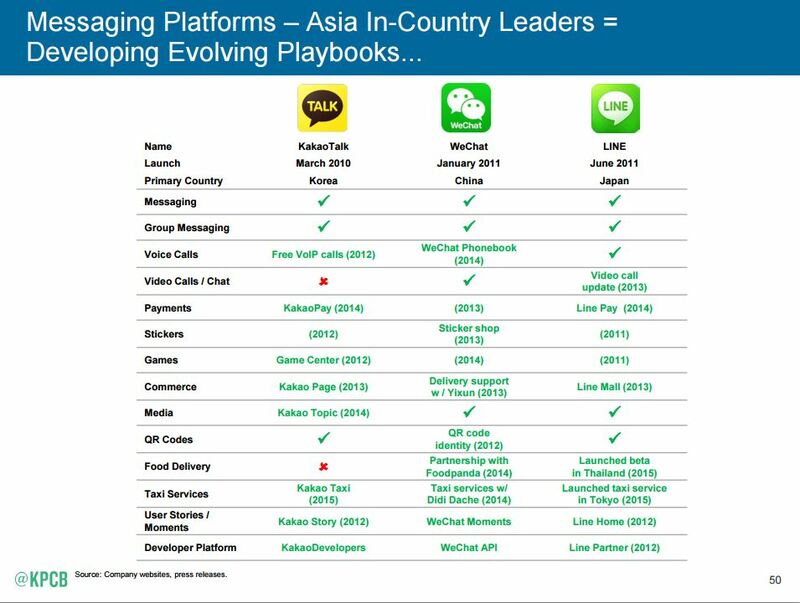 LINE, one of the most popular apps in the Asian continent is broadening out into extra services where brands, media and online services can promote new information, offering new opportunities for businesses to communicate with their customers. With new messaging apps popping up and gaining popularity every year, there’s also a compelling need to have cross-app solutions. 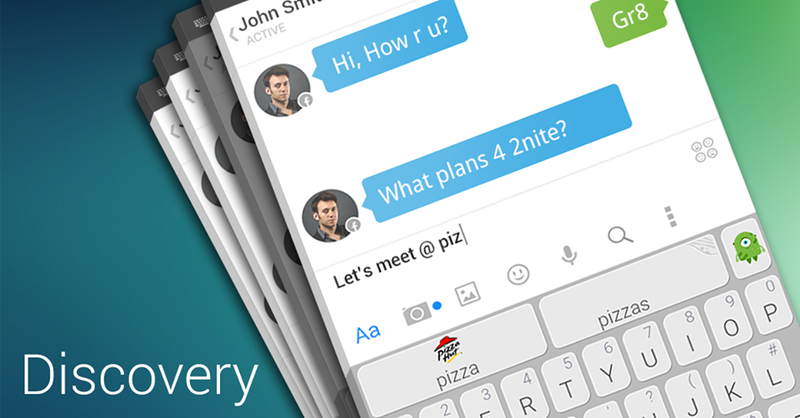 Delivering with simplicity, in complete context and in the immediacy of the moment, Xploree Search and Discovery platform offers the best solution, since a keyboard app has the power to be cross-app and cross-platform. What’s more, Xploree has the unmatched power to engage users in the ‘mobile interlude’, the few moments where a user waits for another to respond during a conversation. For example, during a conversation between two friends there are those moments when they need to decide on a place to meet. Getting recommendations during the chat session and with added incentives like discounts, location information and more, the decision comes easy. 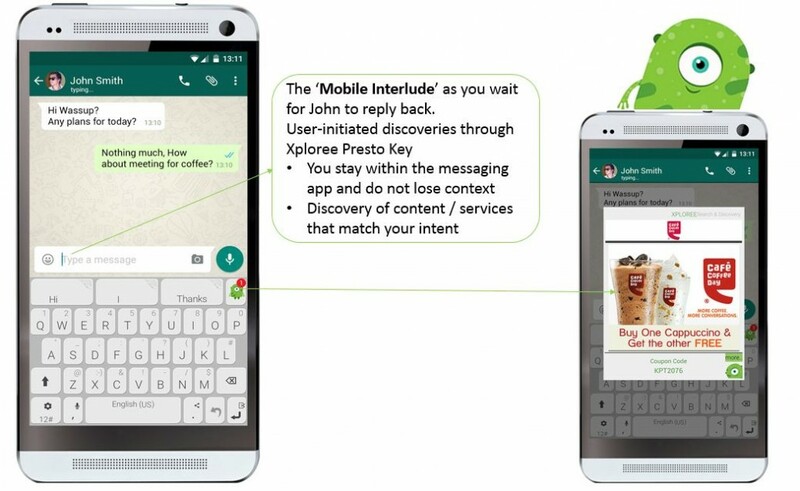 No doubt that messaging apps are opening up new doors to such mobile interlude opportunities and discovery becomes more meaningful when it at sync with the conversational intent. Xploree comes to the mobile messaging ecosystem at the right time with the right intent to engage and serve users during their conversations on messaging apps. The two most powerful success elements that makes Xploree stand out is: intelligent hyper-contextual relevance as users discover brand offers and information and the much needed non-intrusive, user-initiated access to information on mobile. At the end of the day, it pays to be in-context and to be of assistance to the users in their mobile moments. It’s just a matter of time how and when brands and services tap into the power of conversational intent. We thank all our partners who have joined us in the journey to delight users with simplicity, hyper-context and reaching out to them in their exact moment of need, all the while giving the users complete control on how and when they access the offers and information. Traditional search models that have worked well for desktop environments are not well-suited for the on-the-go mobile users. 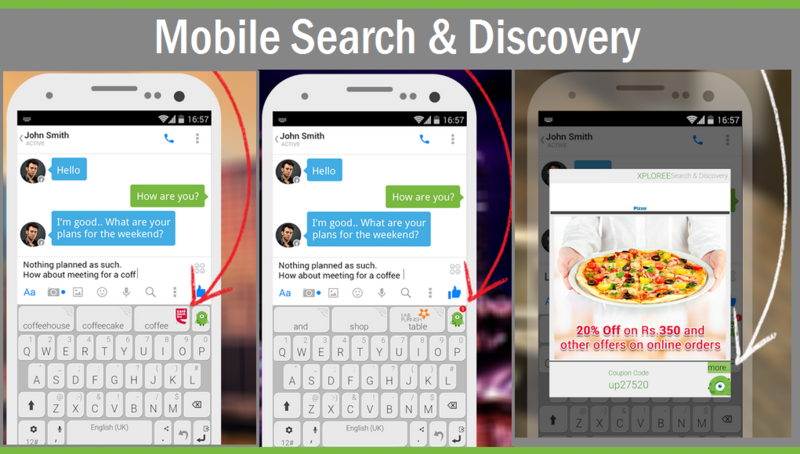 Mobile search and discovery is seeing a fast paced evolution with availability of vast amount of user data including social network conversations, preset or future locations, past actions or current searches. But is this sufficient? 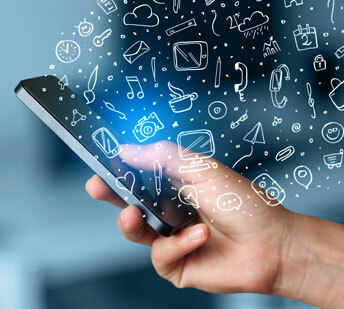 Mobile discovery services that can recommendations to users on what they intend to do rather than what they have done in past is the game changer. Over 60% of smartphone consumers are accessing local information such as business directories, maps, local restaurants, movies information etc. Although many location-based technologies are making it easier for marketers and retailers to reach consumers in a target area, location is just a part of the complete context. There’s been a new meaning to relevance with mobile in the picture. 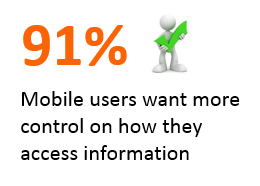 Mobile search and discovery is more intent driven than what was on the desktop. The environment and location is on a constant change. 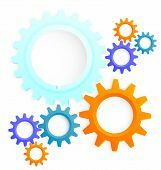 There’s a need for immediacy and higher relevancy as compared to a desktop search. However, location, time, past actions and behaviour do not always predict the intent of a user. One of the most important variable that’s missing here is intent which varies with situation and environment. Intent driven technologies enable a more relevant user experience and mobile marketing campaigns must leverage intent-based intelligent solutions that increase brand favorability and perception. A report from analysts at Juniper Research reveals that by 2018, the total advertising spend on mobile search & discovery will reach $16.8 billion, up from an estimated $6.4 billion in 2013. “New opportunities lie in creating a predictive pattern to respond to a user’s need in real-time by offering relevant recommendations through need anticipation.” Prima adds. 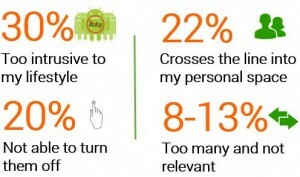 With the intent to reach the right users at the right time with the most relevant information with an added delight element of giving them full control to access information when they want, Xploree is creating powerful mobile moment opportunities with user intent and context driven approach to mobile search and discovery. 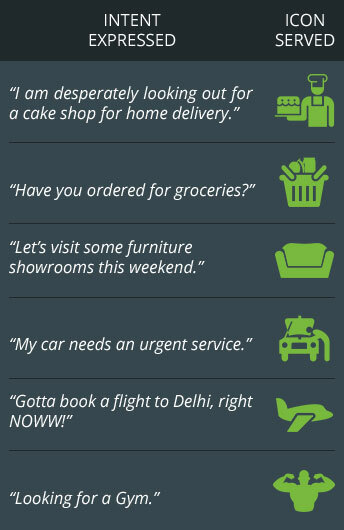 A user on a mobile phone has an intent to book a taxi in the next hour or so, the intent arises during a conversation on a messaging app with a friend. He has instant access to contextual recommendations on booking a taxi at that very moment without launching a browser to search for one. A conversation with a friend leads you to making plans for dinner and movie this evening, the recommendations are visible to you based on your intent, leading to a faster decision in the moment of need. And many other such intent driven services and offers are accessible to Xploree users which provides a single unified, cross-app platform that’s empowering a stronger brand consumer connect on mobile. Mobile marketing is a successful only when it is able to provide a positive customer experience, gains their trust and builds loyalty in the long run. All this is possible only when we can deliver highly relevant content and offers in real-time based on user preferences and intent. The era of mobile search and discovery enters a new phase where launching apps or browsers to search for information is soon to be history. Catering to the time-crunched and context expectations of mobile consumers, one hop, one tap, buy now buttons are changing the retail landscape of the future. In the near future we’ll hear more about how intent driven applications are transforming user experiences, excited that we are leading the trends! But as the cliché goes – the future is already here. Facebook and WhatsApp are leading the engagement time around the world. These applications are doing well in leveraging this high involvement with targeted advertising on their platforms. ‘Facebook reported earnings of 17.5% of the overall ad revenues, which is in line with their share of time spent on mobile’. (Source: @FlurryMobile). With strong engagement times behind them, messaging apps have a brilliant future to be a platform in themselves. 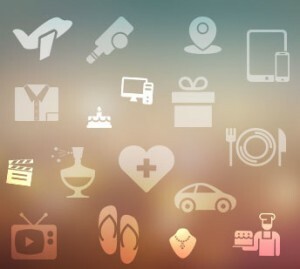 Can brands and businesses reach these millions of users in a non-intrusive and rewarding way? Conversations on mobile often result in short bursts of “wait period” where you are waiting for the other person to respond to your conversation. This is an unexplored opportunity which Xploree has pioneered to present an option to the user to discover relevant services or promotions in a very non-intrusive way. Awareness, Engagement and Rewards in the ‘Mobile Interlude’ – these are few of the value propositions that Xploree Search and Discovery platform brings to the mobile landscape this year. Imagine a conversation between two users discussing or deliberating on a meeting place. Say for example, Sally is chatting with Harry and wants to meet for coffee at a place somewhere around their workplaces, but not sure where. However, during the chat session she encounters a usual scenario where the other person gets occupied in some other tasks delaying a reply or perhaps gets interrupted by another conversation or call delaying the response to the other. This moment is what we call the mobile interlude. Here is an “idle moment” opportunity for Sally to discover in context. What aids in this discovery is the Xploree Presto Key glow. If the conversation had been around “coffee” or “meeting at a nearby place”, the Xploree Presto Key glows unobtrusively with recommendations of coffee shops nearby, deals from nearby restaurants or locally loved hang-out places. So, by the time Harry gets back to the chat, Sally has used this opportunity to know about nearby places (awareness) to meet and drive a faster decision without them having to go through the conversation again (conversion). There’s a huge opportunity to leverage these ‘mobile interludes’ to engage, inform, recommend and reward, thereby increasing engagement and delighting the user. A recent addition we have seen being implemented by Twitter on its mobile app. Earlier, on tapping the search icon only the search field would show up with rest of the space blank. Identifying this as a valuable space to let users discover trending hashtags and tweets, now we see a complete scrollable area for the user to discover the top trending tweets which would have been otherwise overlooked. There’s delight in discovery and the delight is even more pleasant when you have these idle moments which suddenly became exciting! It’s time retailers, brands and businesses embrace an incredible opportunity to increase brand awareness and reach a new customer base that was not reachable before. 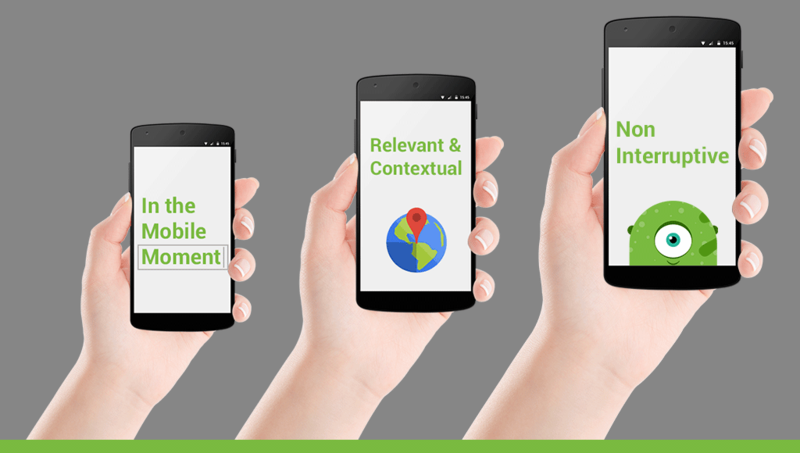 Contact us to know how we can increase relevance and engagement for your mobile users. Every day we use products and services that seem as much a part of our lives as our friends or the air around us. It’s hard to imagine that, once, these products were unknown to us. The four different steps that are usually traced through a buyer’s journey are: Awareness, Interest, Intent and Action. Usually, if more attention is paid to building awareness and recall, the action or conversion comes easy. Awareness is the first step in discovery. We become aware of things that interest us through a wide variety of ways — seeing them in shops, hearing about them from friends and through the media, and (more often these days) social applications. Simplifying consumer experience by making discovery easier is the key to making an immediate connection with your customers. Interest comes next. The user might have been made aware of new products and services but if they do not interest the user, there’s no point in going further. Here’s where contextual targeting comes in the picture. The more relevant information is shown to the users, the more the interest is in knowing further. 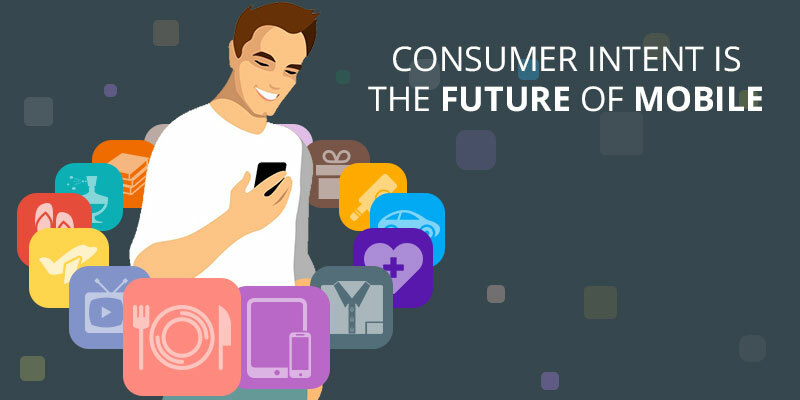 The consumers are ready to know more, discovery is easier with the small computer that we carry around in our pockets and purses every day. There’s a need to present information that is most relevant and personalized to user interests. Intent is a big player in all conversions. Intent drives the desire to acquire information, object or service. Where there is intent, there’s a decision making process involved. When a user searches for car repair services, the intent is clear. There is an incredible opportunity in providing content based on user intent, not only to the benefit of marketers but also for a meaningful user experience. Action usually follows when all the above conditions have been satisfied. “A point where I am aware of the information or service, it interests me, I have the intent to get that information or service, the final decision process is simplified. 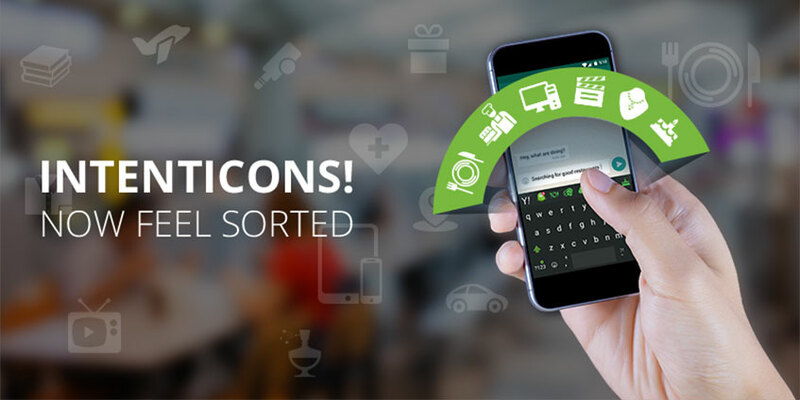 I will now look for the action ‘buttons’ to complete what I intent to do.” This is where mobile commerce has to be ready to let the user complete the intended action in as few steps as possible. Brand awareness or recognition is measured by how a user is able to recognize the brand logo or product being displayed in the marketing messages. The more we see the more we know, the more we know the more we trust and the more we trust the more engaged we are. This is true with any information, brand or service that we come across in our daily lives. For marketers this visibility if of immense importance to improve consumers recognition of your brand. Brand recall is measured by how many times users were able to recall the brand name, product or service when prompted or during their encounter with similar or competing products. Probability of recall increases with the number of times a user views or interacts with a brand image, it could be either a logo, a well-known product or simply appealing consistent messaging. 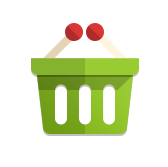 Recognition and recall both play an important part in influencing a user toward decision and ultimately affects consumers buying behaviour. 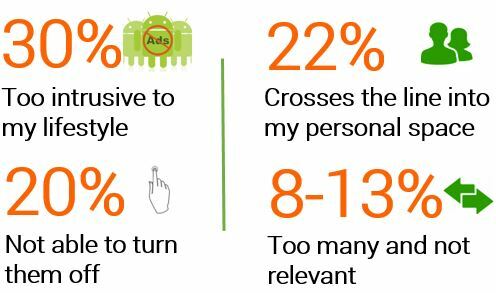 With the short attention span on mobile, it becomes more important for marketers to focus on increasing perceptual identification of a brand and do it often enough so that consumers can increase brand familiarity. Customer experience matters and the more we focus on delivering in context, immediacy and with simplicity the more we’ll see a growth in user engagement. The important role of advertising is to enhance visibility and awareness of products and services. However, when artificial intelligence solutions understand intent and map them to the right service, brand, and information – a whole new world of user driven brand connect opportunity emerges. This drives the industry away from Advertising as it exists today to a more searchable and discoverable brand and service experience for the user. 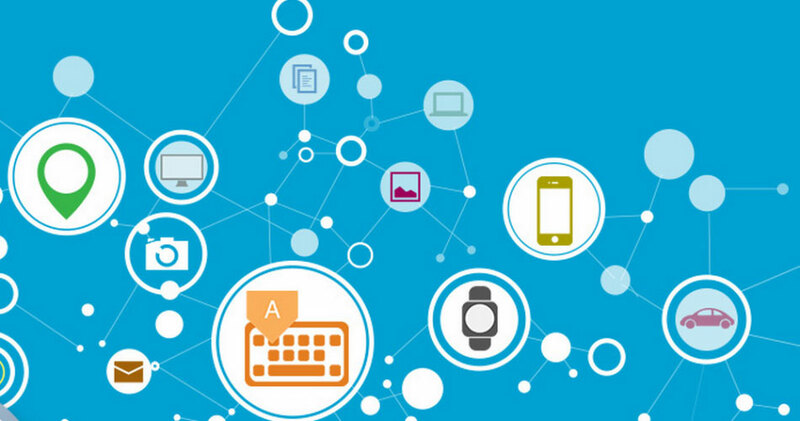 “Think about a world where Ad Technology is searchable, discoverable by user. The huge inventory of brand offerings out there today are not searchable by a user. They are the least discoverable based on users’ current intent. We are here to bridge this gap. 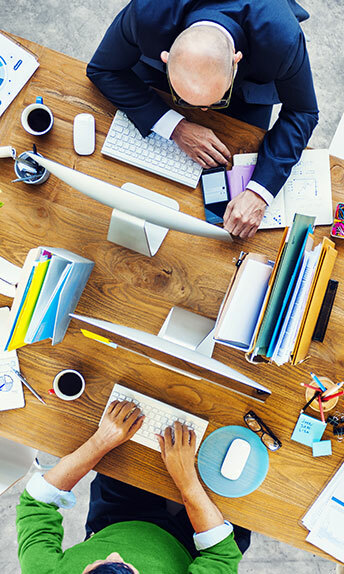 With Xploree, we are letting users take control of this brand and service connect experience across applications.” Says Prima Dona, VP Product Innovation at KeyPoint Technologies. With Xploree we have one of the most innovative solutions for brands to connect with their consumers in their exact moment of need. An effective mobile user experience, delivering in immediacy, hyper-context and with hyper-engagement, Xploree is getting a lot of user love on the Google PlayStore as it delivers in hyper-relevancy and gives users complete control to view recommendations as and when they want. We invite you to know more about Xploree Search and Discovery Platform that’s delivering an exceptionally high rate of 60-75% brand connect opportunity on mobile today. The ability to reach users at the right time, in right context is the holy grail of user-engagement. We’ll keep the discussion going, visit the blog again to see more posts on this topic.